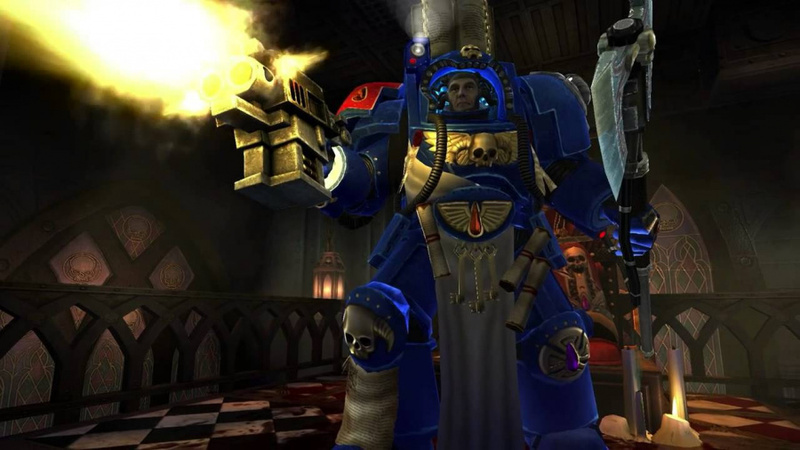 Last we heard, the Wii U version of Space Hulk was due to arrive in May, but that proved to be a false dawn as all of the console editions were pushed back slightly. If you own a Sony machine then the wait is now over, as the PlayStation 3 and PS Vita versions are out this week. Sadly, Nintendo fans will have to wait a little longer - publisher HR Games has revealed that it won't be coming until Christmas. Based on Games Workshop's famous turn-based board game, Space Hulk involves clearing out drifting spaceships of alien monsters. The title is already available on PC. Awesome. I will certainly buy this. I love the Warhammer games. I have Dawn of War 2 and Space Marines. This will be a welcome addition... and on Wii U no less. YES! I will get this as soon es it is released! @Jayvir to tide you over until its released, I would definitely recommend "Space Wolf" on Android and iPhone. I would love that game to be ported over to the wiiu, but I'm just as excited for this when it finally comes out. This is a game I've been waiting for and held off from a steam purchase when I heard it was coming to WiiU. I hope they announce what features it will have on the WiiU in terms of game pad utilization. Would also like to see a multiplayer mode, but I'm guessing that probably won't happen as its a port. Also will this release have all the add on content that's available on steam? If not will there be DLC support? Definitely looking forward to this game, I do love me some tactical Space Marine action. Is this Ascension or the original one ? Because the original one was pretty bland, boring and super slow. Don't suppose anyone knows if this is going to get a physical release in europe like on ps3 is it? I'm hoping for a tactical view on the gamepad and a first person view on the TV screen! It would be nice if they bundle in all the DLC too at this point since the games been out a while. I love the voice acting. Likely gamepad involvement has me interested. Very cool; looking forward to this. SEE! EVERYONE LOVES THEIR GAMEPAD! This is on every platform. I think I even saw it ported to the Game Gear. Get out of my Way.. pa pa pa pa pa. I feel like I played this in 1994. Cannot believe it's coming to Wii U. so cool. About time! What ever happen to lucadian chronicals and pop up dungeon? Is this a remake of the 3DO game?